This little bowl comes in handy for puddings, ice cream, jello, veggie dip and many more uses. It is made with porcelain clay, has a beautiful lotus flower shape with great depth of color. 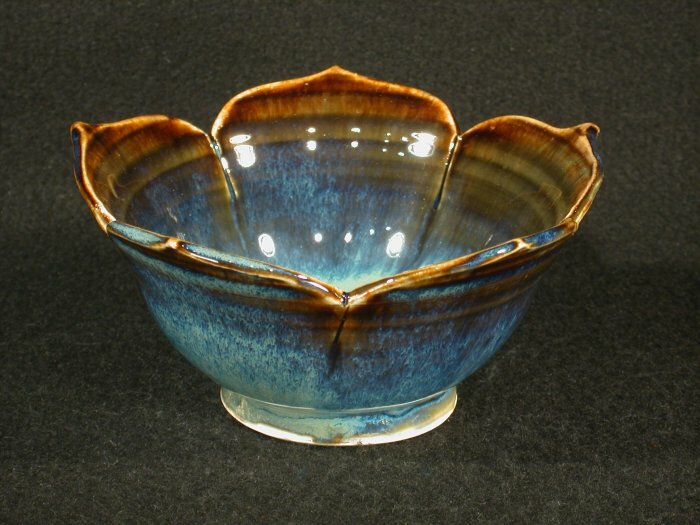 Show here is Aqua Blue with a dark rim that breaks gold on the edges. Comes in Sea Green, Lavender and Variegated Brown.